COLUMBUS, Ohio – Researchers with The Ohio State University College of Medicine and The Ohio State University Wexner Medical Center have identified a metabolic process in the heart that, if treated, could someday prevent or slow the progression of heart failure. Before any physical signs or symptoms of heart failure are present, the first maladaptive changes occur in cardiac cell metabolism – how the heart fuels itself to pump blood through the body constantly. 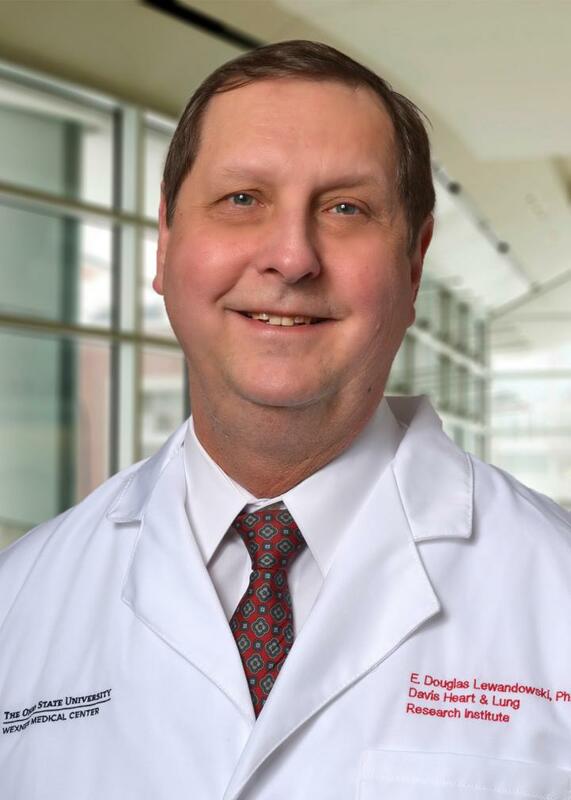 For their research, Lewandowski’s team examined both mouse models of heart failure and human heart tissue obtained from heart failure patients before and after heart assist devices were surgically implanted. They found that the amount of a reactive fat compound, called acyl-CoA, is nearly 60 percent lower in failing hearts compared to normal hearts. This disruption in the heart’s normal metabolism creates toxic fats that impair the heart’s ability to function and pump properly. Then the team tested mice that overexpressed a gene for a protein called ACSL1, that’s known to make acyl-CoA. When exposed to conditions that cause heart failure, the mice kept making normal amounts of acyl-CoA and the extent of heart failure was reduced and delayed. “By maintaining this fat compound, acyl-CoA, the hearts retained their ability to burn fat and generate energy. Importantly, overexpression of ACSL1 also reduced toxic fats, normalized cell function and reduced the progressive loss of function in the enlarged mouse hearts,” said Lewandowski, who is also a professor of internal medicine at Ohio State’s College of Medicine. When the team examined failing human hearts that had the help of a left ventricular assist device (LVAD), they found similar effects – the levels of acyl-CoA had restored to normal when the sick hearts didn’t have to work beyond their capacity. “This tells us there’s an important relationship between fat metabolism in the heart and the inability to pump well, and we need to learn more. We believe targeting the normalization of acyl-CoA through gene or drug therapy or, potentially, dietary protocols, is a new approach to explore,” Lewandowski said. “Heart failure is the only form of heart disease that hasn’t dropped in 35 years. As findings like these help identify the metabolic underpinnings of the disease, it gives hope for promising new therapies for patients,” said Dr. K. Craig Kent, dean of the College of Medicine. Next, Lewandowski’s team wants to explore how normalizing acyl-CoA helps reduce toxic fats and increase protective fats inside the heart. Soon, they hope to use advanced imaging to track fat metabolism and function in patients’ hearts. “We need to understand how we’re manipulating the chemical reactions and what exactly is leading to the improvement. Then we can look at whether we can supply the heart with fats, supplements or medications that assist with creating acyl-CoA. Ultimately, it’s about trying to prevent or slow the progression toward heart failure,” Lewandowski said. Funding from the National Institutes of Health helped to support this research. Additional scientists involved in the study include Andrew Carley and Matt Fasano from Ohio State, Dr. Joseph Goldenberg from the University of Illinois, Dr. Christian Schulze from the University of Jena and Columbia University Medical Center, and Dr. Ruiping Ji and Xiaokan Zhang from Columbia University Medical Center.